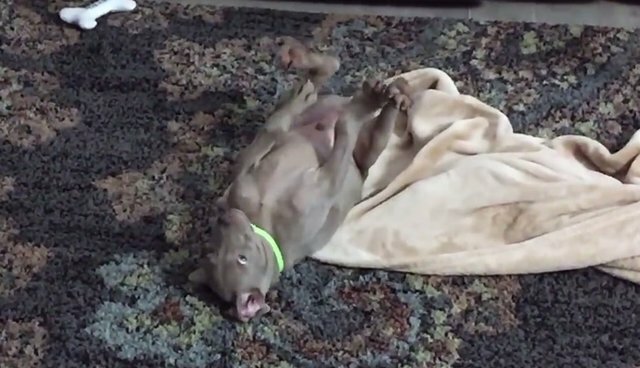 Watch Loki the 7-week old weimaraner adorably fall in slow motion while battling this pesky blanket. Loki was the biggest puppy of his litter as you can see from his awkwardly huge puppy paws! He love to wrestle and play tug-of-war with his friend Bailey that you see watching his adorable falls from the sidelines (and who Loki now dwarfs just months after this video was taken).